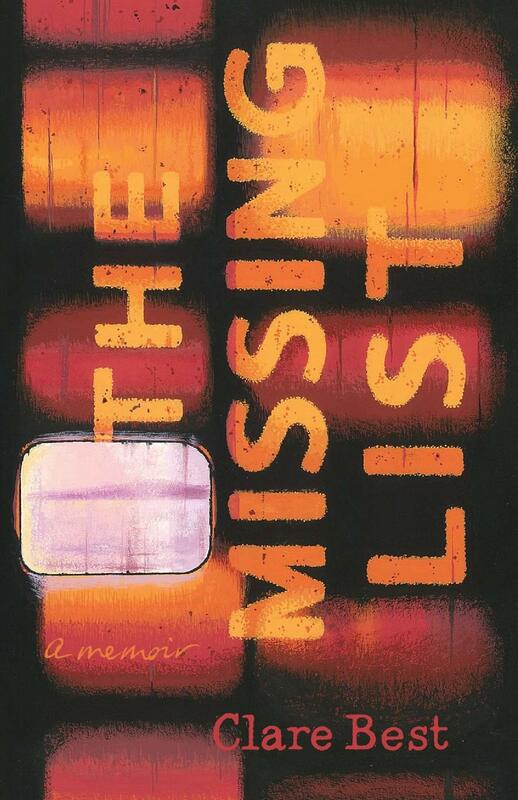 While The Missing List is a memoir, dealing with events past, the truthfulness of Clare Best’s thoughts on every page creates an intense feeling of the present. She is trying to resolve a past so painful that it has carried on right through her adult life to her father’s death in 2009. She sets out to enable her father to admit the sexual abuse he perpetrated on her as a child. She invites him to have recorded conversations with her about his life, which she later transcribes, hoping that he will trip himself up and betray his guilt; she will not ask the direct question – it is for him to find the apology within himself, not for her to prompt it. Her belief is that father’s admission of sexual abuse and apology will set her free from the damage he did to her as a young child. Time is against her though, her father is dying. At the outset of her quest she is the victim of his historic crime, but it is clear that the past conflation of love and abuse leaves her unclear as to where the boundaries of self have sometimes been. She needs to see herself as separate from this man as much as she needs to force out his confession; the confusion of love, trust, protection, monster run right through the story. At times Clare Best seeks to find answers for what he perpetrated on her in his own childhood and while she is compassionate to the emotional damage done to him as a child, she never strays into allowing it to forgive what he did to her. Going back to the 1950s, her father used to take cine film of the family, and spend hours cutting and splicing them into an acceptable, idealized, narrative. Best is a poet – and she brings her poetic sensibilities to her prose. We pass between these edited and idealized clips of the old cine film, her present visits and talks to the dying man, written transcripts of these talks, memories of his childhood, reflections on his beliefs as to how to live life. What she searches for also brings questions for herself, and emphasizes her need to establish her right to life without him. She wants to understand the nature of the love, the trust that had been between them. The love, as she concludes the book, has turned to revulsion, loathing – even hate. Arthur Miller, with his autobiography, Timebends: A Life, committed his life memories to the page without making chronological order of them – his explanation was that that was how our minds work. Clare Best does this too. And this is what gives the reader of her memoir a complicity in her quest. Pain and emotion are seemingly illogical, and while she is still symbiotically linked with her father she wills him to die, wanting her own life to begin. By the end of book, the reader wants this too, but somehow the anger, the coldness, hidden under the poetic memoir, suggests that his death might not even be enough to deliver Clare Best from the life sentence her parent gave her. He dies without giving her the satisfaction of penitence, or even validating the memories. Surely indifference would be a better marker of having come to terms with the damage done.